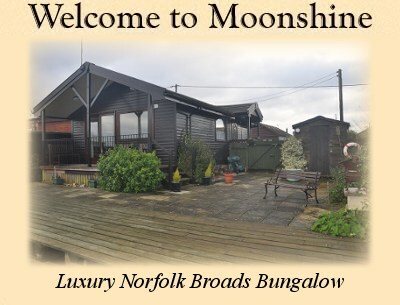 Riverside Bungalow Riverside Brundall close Norwich Moonshine Riverside East Anglia. Getting to Moonshine is particularly easy. Brundall lies just a mile or so south of the main Norwich to Gt Yarmouth road (A47).